Southwestern Horseshoe Star Cross Ornament Decor Ceramic, with the look of being handmade. 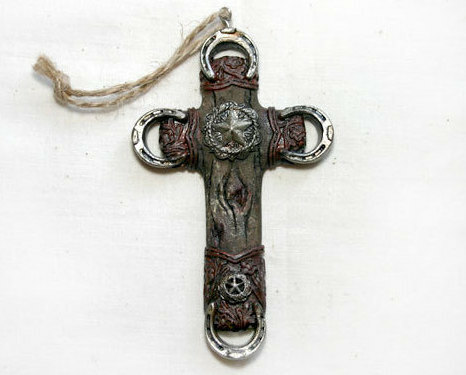 Create a western tree with this great rustic cross ornament, or add it to any room no matter the decor. Measures approximately 4 inches long x 2.25 inches wide, not including the jute hanger. New!